A “thumbs-up” from a happy patient. At Shine Dental Care, we work hard to make you feel good about visiting the dentist and it is always lovely when our patients give us feedback. 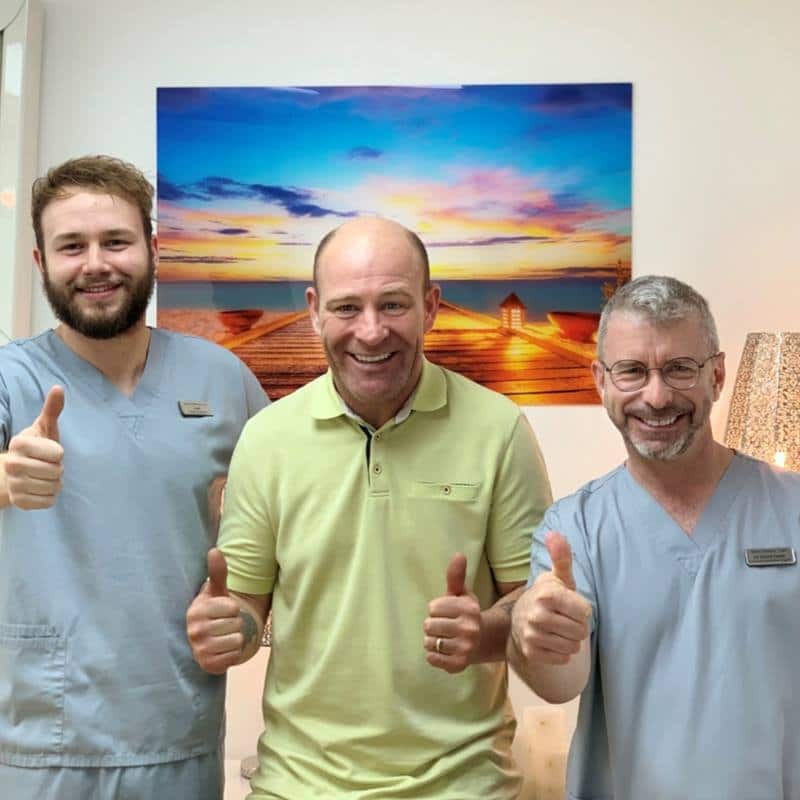 Here is a delighted patient pictured with Matt and David at the end of his dental implant treatment at our dental practice near Mansfield. Matt is our Dental Implant Coordinator and Jodie is our wonderful treatment coordinator, both of them are happy to talk to any new patients who would like to know a little bit more about dental implants or smile makeovers at Shine Dental Care.